Of course yes. Facebook 360 Content are just lightweight version of the Virtual Reality technology. It was introduced so that VR creators using the Facebook 360 tool can reach a larger audience since Facebook 360 Content can be uploaded into Facebook and thus becomes an item to be displayed in the Facebook News Feed. 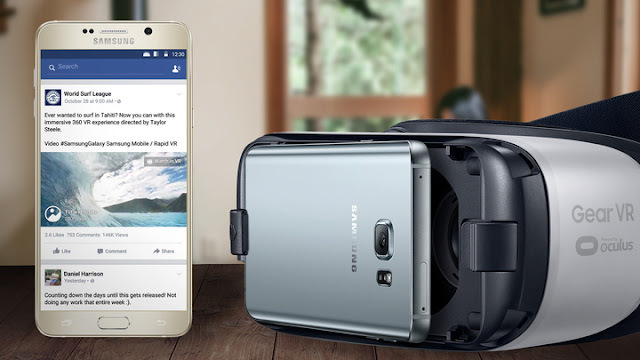 To view Facebook 360 Content via a VR headset though, you will need to save the 360 Content from the News Feed and then view from Saves and not from the News Feed. The Main Point is, Facebook 360 Content can be viewed via an VR headset.